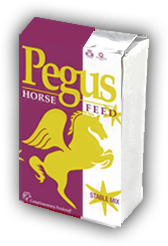 A blended selection of the finest Irish grains and oils fortified with Pegus equine premix. for maintenance and low level exercise. Stable Mix includes oil and fibres for healthy gut function and shiny coat.